he NHL to Seattle rumors that Seattle Times investigative reporter Geoff Baker started a month ago received a major boost on Tues. March 13th; when King 5 reporter Chris Daniels broke the story that NHL Commissioner Gary Bettmand and Deputy Commissioner Bill Daly flew to Seattle to meet with Seattle Mayor Ed Murray and King Country Executive Dow Constantine. This meeting occurred last week. The Dallas Stars clinched a playoff berth for the first time in eight years, while it has been a while since the Stars tasted post season hockey, this will be an exciting time for the young Stars team. Once you make the post season, anything can happen and the Stars have about as good a chance as anyone else in the playoffs. Because it is about getting hot when it matters most. 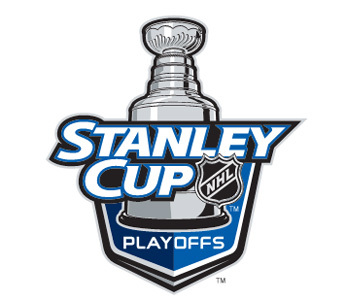 The first round of the Stanley Cup playoffs is often the most thrilling time in the sport. Upsets are plentiful and the action is intense. The NHL playoffs might just be the best playoffs in all of sport and the first round is a big reason why. Here are the 10 best first round matchups in NHL history. The Dallas stars are so very close to being in the playoff sport, as of the 27th, they are three points out of the last playoff spot in the west. While they have been playing good hockey and could be in position to make the playoffs, they are going to need some help at this point, because they only have one game left against the team in front of them. Does The Logo Really Mean That Much? There was a time when the Battle of Alberta was the best rivalry in hockey and one of the best rivalries in all of sport. Last Saturday, the rivalry took an odd turn when the Calgary Flames thrashed the Edmonton Oilers 8-1 in front of a hostile crowd at the Rexall Centre. The loss cemented the fact that the Oilers will miss the playoffs for an eighth consecutive season. How hostile was it? A fan had enough and decided to throw his jersey on the ice. 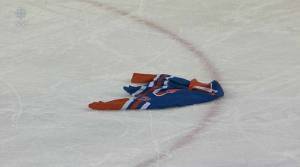 Oilers goalie Ben Scrivens angrily scooped up the crumpled sweater with his goal stick, and flung back into the crowd. After the game, Scrivens went on a rant that had the media salivating. Dallas Stars center Rich Peverley announced Wednesday that he is done for the season after collapsing during a game earlier this week. While it was a scary moment for players and fans alike, it goes to show preparation can save a life. He was revived after going unconscious and was immediately rushed to the hospital.